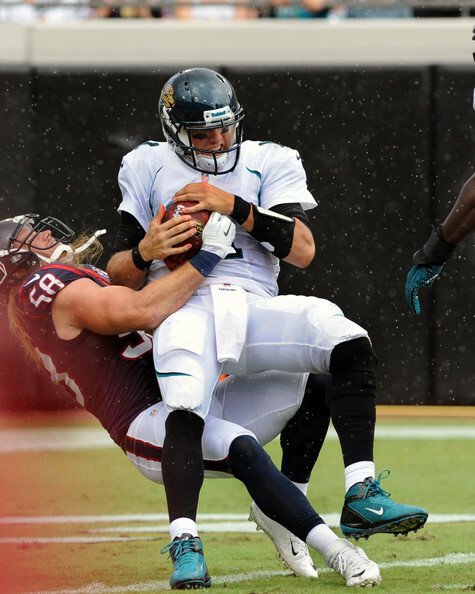 I read a review of Blaine Gabbert prior to the opening game against the Minnesota Vikings. In a nut shell the writer claimed Gabbert would be a bust, thereby closing the casket on the body of hope. My contention was that the writer was basing his evaluation solely on last season and on his direct experience of following the Missouri quarterback through college. This is a perfect example of what grinds my gears. It is a key element of what strips credibility from any writer or blogger. Do not hide behind internet anonymity when the evidence is against you and then prairie dog someone’s timeline/inbox/message board when the performance favors you. Be man enough to earn your accolades and your rebukes. So here we sit, just 24 hours past a beating so bad all meat and poultry in my refrigerator was tenderized and my eggs were scrambled. Many of us, myself included, bemoaned the preseason power rankings which placed our beloved Jaguars at or near the number 32. Look, we can make the argument the team is injured but rankings do not care what your reason is for why you are. Take a long hard look at where the teams stand at this point in the season and be honest with yourself. What have the Jaguars earned and be man enough to accept it. The rankings are not personal. But I have to ask, why are you still looking at power rankings!? To each his own. Let’s sprint! Let the catharsis begin. Well in truth it actually started yesterday but a little less than 24 hours after the Jaguars loss to the Vikings I am channeling sentiment through the written word. Frankly there is no real catalyst to do so; rather a curiosity to see what comes out. This season is my case study in how to approach Jaguars football. Limit outside sources and more personal interpretation of events. The “paid experts” are not necessarily authoritative. Sure they can break down the game tape better (in some instances) but their opinion of the analysis has shown to be sorely lacking. In fact, I prefer ECStoner on Twitter for analysis. Part of the enjoyment simply cannot be tied to ESPN, NFL Network or any other institution. If others want to fight the disinformation so be it. All easier said than done. With Aerosmith’s “Toys in the Attic” echoing off the walls of my study I dive in! I posted this over at BigCatCountry. If you are a Jaguars fan, or just a NFL fan in general, there are some very good writers over there. Additionally they are very timely in reporting information they get from sources as well as through social media. My purpose was to address the animosity I was hearing on sports talk radio. 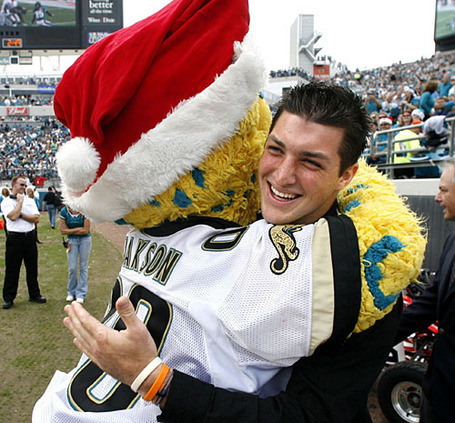 The Tebow Divide is great and often the animosity is frightening. The warring parties should laugh more and this was my attempt at an armistice.